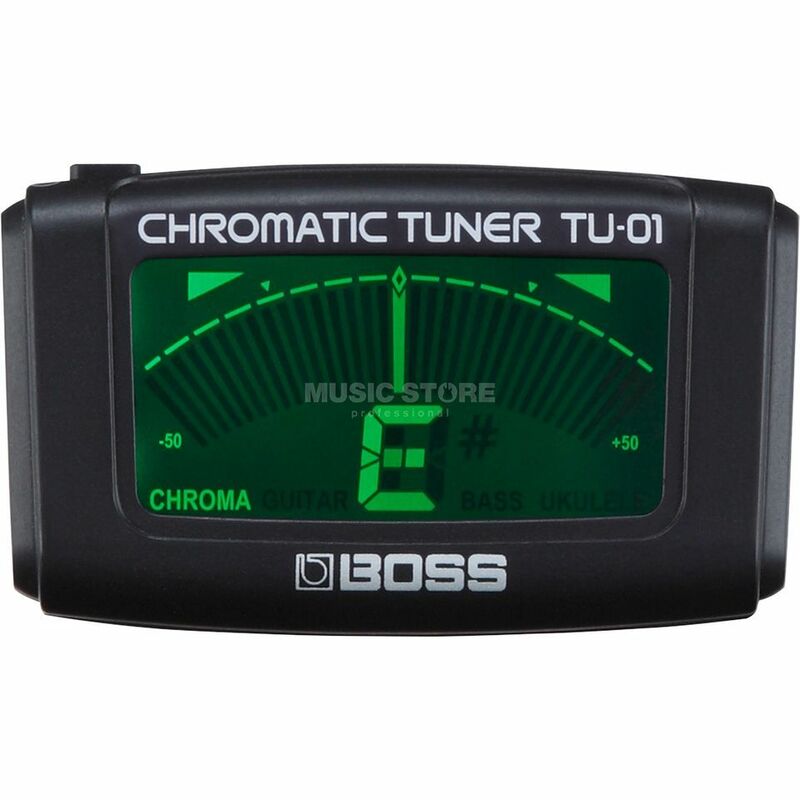 The Boss TU-01 Clip-On Guitar Tuner is a chromatic clip-on tuner for guitar, bass and ukulele tuning featuring a reference pitch function (A=440Hz) and 25 hour battery life. The clip-on TU-01 is small, durable and simple to use providing convenient reliable tuning on your instrument’s headstock. A bright display features a cool digital meter and note indicator, as well as two lights that show when you’re perfectly in tune. The TU-01 also adjusts for different viewing angles and folds down for easy transport in your case or gig bag.